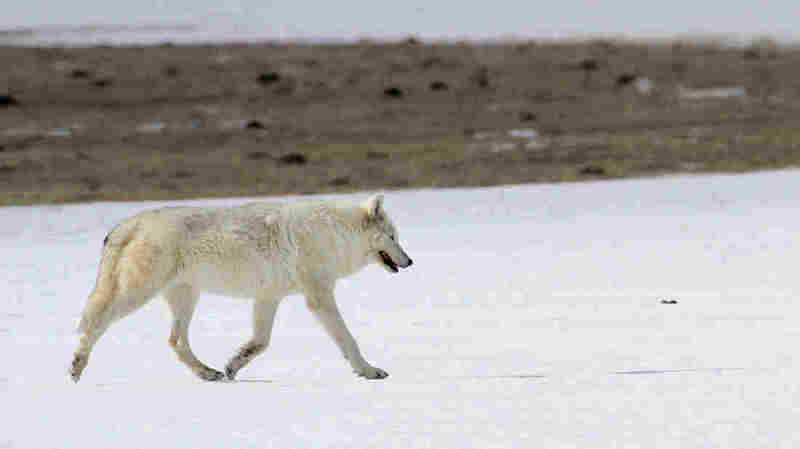 Rare White Wolf In Yellowstone Was Shot, Park Reveals : The Two-Way She was the alpha female of a pack in Yellowstone National Park, sought after for photographs because of her unusual white coat. The wolf was found suffering from severe wounds and had to be put down. The alpha female of the Canyon Pack at Yellowstone National Park sustained a gunshot wound and was euthanized last month near Gardiner, Mont. She was the alpha female of a wolf pack in Yellowstone National Park, sought after for photographs because of her unusual white coat. Hikers found her suffering from severe wounds last month. The animal was euthanized by park staff shortly after. The park now says the recognizable wolf suffered a gunshot wound, based on preliminary results of a necropsy by the U.S. Fish and Wildlife Service. The animal likely was shot sometime between April 10 at 1 a.m. and April 11 at 2 p.m. on the north side of the park, near Gardiner, Mont. "Due to the serious nature of this incident, a reward of up to $5,000.00 is offered for information leading to the arrest and conviction of the individual(s) responsible for this criminal act," Yellowstone National Park Superintendent Dan Wenk said in a statement. She was said to be one of only three known white wolves in the park and, at 12 years old, was about twice the age of the average wolf there. "As the alpha female for over nine years with the same alpha male, she had at least 20 pups, 14 of which lived to be yearlings," the park said. A local wolf advocacy group called Wolves of the Rockies subsequently doubled the reward, offering an additional $5,000 that later grew to $5,200 after additional donations. Marc Cooke, who leads the group, "suspects opponents of wolves in Yellowstone were responsible," according to The Associated Press. "Many hunting outfitters and ranchers have been unhappy about wolves since their reintroduction to the park more than 20 years ago," the wire service adds. "The wolves prey on big-game animals and sometimes cattle." This isn't the first well-known Yellowstone wolf to die from a gunshot wound — the park's most popular wolf was shot dead in 2012, as NPR reported. 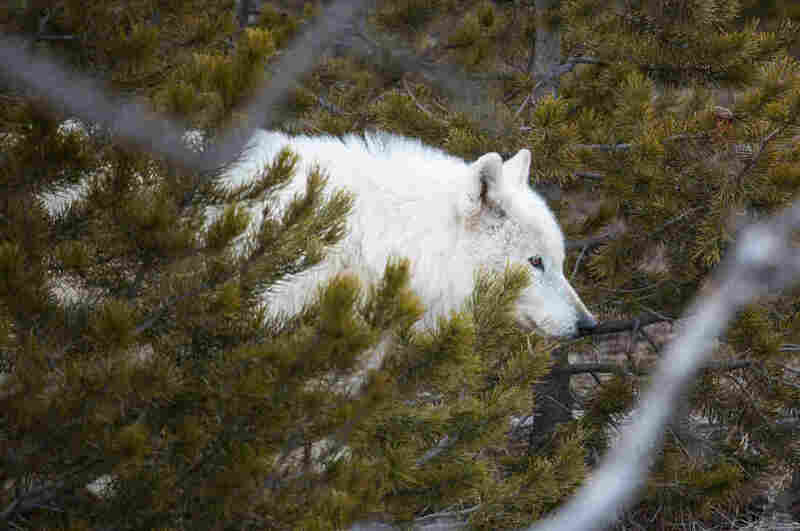 "People in this world today crave something real, and our society is lacking that, and they could come to Yellowstone and see real nature unfolding in front of their eyes with this very unique personality of a wolf, and they loved her," biologist Douglas Smith told NPR about that deceased wolf, known as 832F.